The National Resource Center on LGBT Aging is committed to working with and supporting advocates around the country. This spring, we interviewed Vicki Stanley, an ally working in Kentucky, to learn more about her work and her advice for other advocates trying to make a positive change. Where do you work and what is your role in your organization? I work with a new nonprofit community organization, Senior Pride Initiative in Kentucky. My primary role on our small and diverse multidisciplinary team is advocacy. My background is well suited to our grassroots focus on mature and older adult quality of life, as I bring with me experience in creating small targeted community programs, an education in gerontology, and a board certification in Human Services. How did you become involved in LGBT aging issues? My family, and colleague and social circles include lesbian and transgender women and gay men. A natural outgrowth of these important relationships is the strong awareness of how privilege and protections are unequally distributed among us, not only affecting our individual paths of security and safety, but our overall experiences and expectations of quality of life. As a mature woman, a lifelong exposure to gender bias and power constructs helps me understand how, unless challenged and changed, implicit and explicit boundaries can limit our full human potential. What do you see as the most pressing needs in your community? Visibility, cultural competency and positive connections for aging LGBT adults in our mainstream broader community. Our broader community is a regional hub for healthcare and other human services, education, commerce and entertainment. It is poised to offer a significantly high quality of life to all residents if providers, agencies and organizations increase their knowledge, top-down, of LGBT populationsâ&#x20AC;&#x2122; issues and needs; infuse their practices with affirming protocols and programming; and create welcoming environments. In essence, not all mature and older adults are wholly recognized and therefore, not wholly supported. But, we can change that. What successes have you had? Through several projects, our team approach continues to yield a growing awareness of the needs and issues of the mature and aging LGBT community in our region. In 2015, Senior Pride Initiative holds its third and largest LGBT aging community conference yet, when stakeholders are joined by aging field and human service professionals for a full day and one-half of interactive topics, activities and discussions. In 2014, we heard the desire of many to locate affirming faith and spiritual communities by creating and sharing an opt-in reference of more than 23 open and affirming congregations in our Bluegrass region. These efforts fostered the formation of the Bluegrass Rainbow Faith Communities, a diverse group of affirming faith and spiritual leaders focused on supporting and celebrating individuals of the LGBT community through inclusive worship and spiritual life, outreach and community advocacy. Quarterly, we convene the LGBTQAA Consortium, a collaboration of affirming professionals, area agencies and organizations to promote inclusion and support of mature and older adults across the identity spectrum. We continue to work one-on-one with area service providers and their agencies and organizations to provide Professional Tool Kits stocked with information and resource materials, and education sources to grow LGBT cultural competency within their service and work environments. 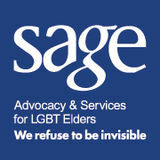 Do you have advice for others working in LGBT aging? Listen to learn, look for open doors and opportunities, and persevere.